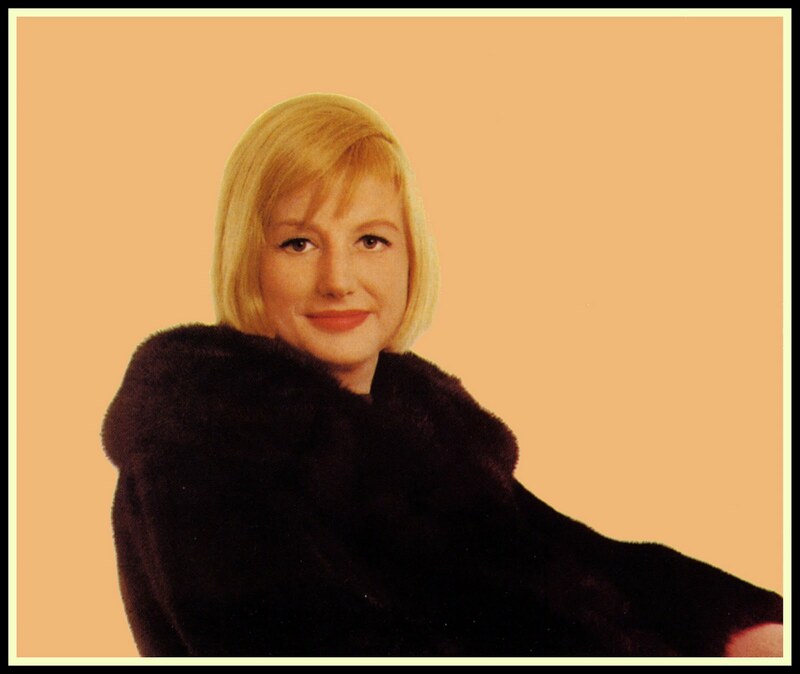 Listening to Blossom Dearie sing is like following the flight of a dandelion seed. Her feather-soft voice warbles and reels while a warm, breezy piano line buoys her gentle melodies. Despite Dearie’s pixie-like voice, her performances never lacked for emotional force, drawing crowds to jazz clubs and cabarets in London and New York for the better part of three decades. Dearie died on Saturday, February 7 . She was 82. A singer, pianist and songwriter with an independent spirit who zealously guarded her privacy, Ms. Dearie pursued a singular career that blurred the line between jazz and cabaret. An interpretive minimalist with caviar taste in songs and musicians, she was a genre unto herself. Rarely raising her sly, kittenish voice, Ms. Dearie confided song lyrics in a playful style below whose surface layers of insinuation lurked. While listening recently to Italian Jazz pianist Dado Moroni’s Insights CD [Jazz Focus JFCD007], I was once again struck by his unusual choice of opening tunes. For, unlike many recordings that announce the presence of the artist with a foot-stomping, all guns blazing, barn-burner [talk about mixing metaphors! ], Dado chose a gentle, slow tempo introduction in the form of Inside a Silent Tear. Dado’s version of this tune can be heard as the audio track in the following video tribute to the artist Piet Mondrian. The beauty of the tune and the fact that it was composed by vocalist/pianist Blossom Dearie got me reflecting on the subject of Jazz vocalists. 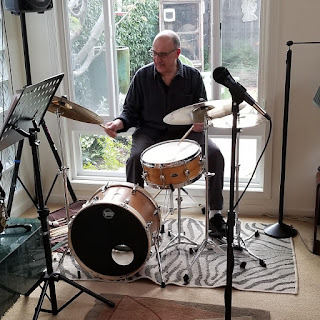 For it seems that throughout my career as a professional musician and for whatever reasons, I was always working for Jazz singers, but only rarely enjoying it. 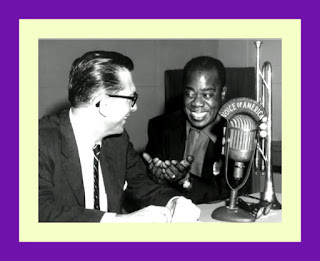 The fact that there were so many Jazz singers at that time may have had something to do with it. In the 1950s and 1960s, every nightclub, restaurant, cocktail lounge, neighborhood bar and bowling alley featured live music and most of the time this consisted of a duo or a trio with a vocalist as the star attraction. To add a bit of zest and zing to this entertainment, more often than not the vocalist was a female who usually performed a few tunes each set in an outfit that was meant to attract attention. The zest and zing that came from many of these so-called “Jazz singers” usually had more to do with their revealing costumes and very little to do with the quality of their vocal performances. Many of these female vocalists, to paraphrase the author, Donna Leon: “Sang with an emphasis people often give to the repetition of phrases or ideas that they really don’t understand, conviction taking the place of reason.” [Friends in High Places, p. 310]. 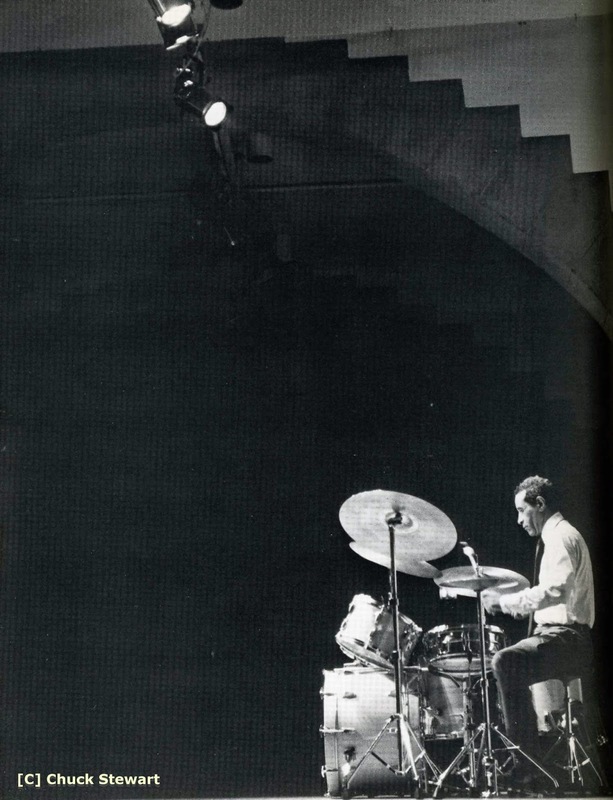 Before joining Stan Kenton’s Orchestra in 1952, the late drummer, Stan Levey, once led a group that included pianist Red Garland and tenor saxophonist Richie Kamuca. For almost a year, Stan’s group backed a number of prominent vocalists who came through his native Philadelphia. 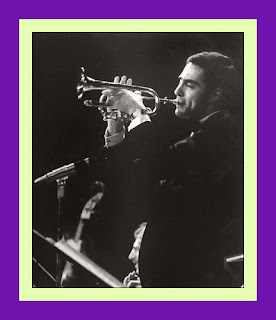 He would later play for Peggy Lee and Ella Fitzgerald. All of which brings me back to Dado Moroni’s use of Inside a Silent Tear and the Jazz vocalist who wrote the tune – Blossom Dearie. Blossom is one of a select group of musicians who also happen to be singers who also happen to write the songs they [and others] sing or play, and do all three magnificently. After undergoing the many agonies associated with working for bad vocalists, when someone like Blossom comes along and lights up your day, you become a fan forever. And so I have. This YouTube is made up of a montage of Blossom’s photos, LP and CD covers and the soundtrack is of her introducing and singing Inside a Silent Tear. Although Blossom died in 2009, some of her recordings along with a nice photo album and other information are available on a website dedicated to her which you can locate by going here. Listed below are some “facts and figures” about Blossom and her career. She was a very special female Jazz vocalist and, if you are not so already, you owe it to yourself to become more familiar with her recordings. Reprinted with permission from the Encyclopedia of Popular Music. Copyright 1989-2002, Muze UK Ltd. For personal use only. All rights reserved. “b. 28 April 1928, East Durham, New York, USA. A singer, pianist and songwriter, with a "wispy, little-girlish" voice, Dearie is regarded as one of the great supper club singers. Her father was of Scottish and Irish descent; her mother emigrated from Oslo, Norway. Dearie is said to have been given her unusual first name after a neighbor brought peach blossoms to her house on the day she was born. She began taking piano lessons when she was five, and studied classical music until she was in her teens, when she played in her high school dance band and began to listen to jazz. 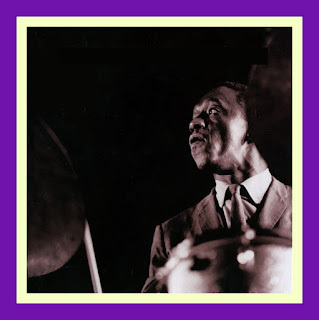 Early influences included Art Tatum, Count Basie, Duke Ellington and Martha Tilton, who sang with the Benny Goodman band. Dearie graduated from high school in the mid-40s and moved to New York City to pursue a music career. She joined the Blue Flames, a vocal group within the Woody Herman big band, and then sang with the Blue Reys, a similar formation in the Alvino Rey band. In 1952, while working at the Chantilly Club in Greenwich Village, Dearie met Nicole Barclay who, with her husband, owned Barclay Records. At her suggestion she went to Paris and formed a vocal group, the Blue Stars. The group consisted of four male singers/instrumentalists, and four female singers; Dearie contributed many of the arrangements. They had a hit in France and the USA with one of their first recordings, a French version of "Lullaby Of Birdland". While in Paris, Dearie met impresario and record producer Norman Granz, who signed her to Verve Records, for whom she eventually made six solo albums, including the highly regarded My Gentleman Friend. Unable to take the Blue Stars to the USA because of passport problems (they later evolved into the Swingle Singers), she returned to New York and resumed her solo career, singing to her own piano accompaniment at New York nightclubs such as the Versailles, the Blue Angel and the Village Vanguard. She also appeared on US television with Jack Paar, Merv Griffin and Johnny Carson. In 1966 she made the first of what were to become annual appearances at Ronnie Scott's Club in London, receiving excellent reviews as "a singer's singer", whose most important asset was her power to bring a personal interpretation to a song, while showing the utmost respect for a composer's intentions. In the '60s she also made some albums for Capitol Records, including May I Come In?, a set of standards arranged and conducted by Jack Marshall. In the early '70s, disillusioned by the major record companies' lack of interest in her kind of music, she started her own company, Daffodil Records, in 1974. Her first album for the label, Blossom Dearie Sings, was followed by a two-record set entitled My New Celebrity Is You, which contained eight of her own compositions. The album's title song was especially written for her by Johnny Mercer, and is said to be the last piece he wrote before his death in 1976. 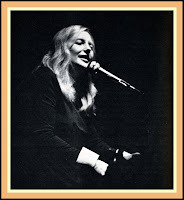 During the '70s Dearie performed at Carnegie Hall with former Count Basie blues singer Joe Williams and jazz vocalist Anita O'Day in a show called The Jazz Singers. In 1981 she appeared with Dave Frishberg for three weeks at Michael's Pub in Manhattan. 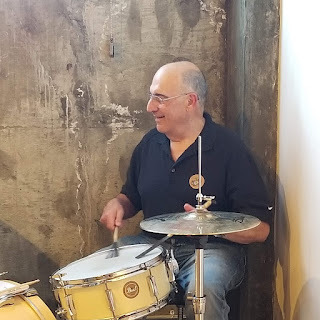 Frishberg, besides being a songwriter, also sang and played the piano, and Dearie frequently performed his songs, such as "Peel Me A Grape", "I'm Hip" and "My Attorney Bernie". Her own compositions include "I Like You, You're Nice", "I'm Shadowing You" and "Hey John". From 1983, she performed regularly for six months a year at the Ballroom, a nightclub in Manhattan, and in 1985 was the first recipient of the Mabel Mercer Foundation Award, which is presented annually to an outstanding supper-club performer. Appreciated mostly in New York and London, where she appeared several times in the late '80s/early '90s at the Pizza On The Park, Dearie, with her intimate style and unique voice, …[had been, until her death in February, 2009] one of the few survivors of a specialized art. Blossom Dearie (Verve 1957), Give Him The Ooh-La-La (Verve 1957), Once Upon A Summertime (Verve 1958), Blossom Dearie Sings Comden And Green (Verve 1959), My Gentleman Friend (Verve 1959), Broadway Song Hits (Verve 1960), May I Come In? 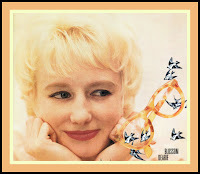 (Capitol 1966), Blossom Dearie Sings (Daffodil 1974), My New Celebrity Is You (Daffodil 1975), Winchester In Apple Blossom Time (Daffodil 1979), Et Tu Bruce? (Larrikin 1984), Blossom Dearie Sings Rootin' Songs (DIW 1987), Songs Of Chelsea (Daffodil 1987), Needlepoint Magic (Daffodil 1988), Featuring Bobby Jasper (1988), Blossom Time At Ronnie Scott's 1966 recording (Redial 1998). 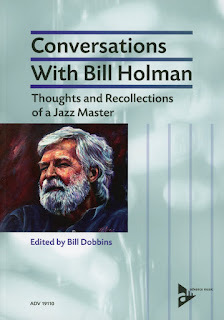 Many of the visitors to JazzProfiles already know the eloquent writings about Jazz artists that Whitney Balliett contributed primarily to the The New Yorker Magazine throughout much of the second half of the 20th Century. Reading Mr. Balliett is like sampling a fine wine, or a beautifully prepared meal or listening to Frank Sinatra sing a ballad: his exquisite storytelling was one of Life’s true pleasures. And his wit is characteristic and sublime, I mean where else can you find phrases like - “She has a tiny voice, … ; without a microphone, it would not reach the second floor of a doll house”?! Fortunately, many of Mr. Balliett’s essays were later collected and published as anthologies. One of these compilations is Alec Wilder and His Friends [Boston: Houghton Mifflin Company, 1974] which contains his Hanging Out with Blossom Dearie. Here are the opening paragraphs from this essay to help better acquaint you with Blossom and her music [paragraphing modified]. 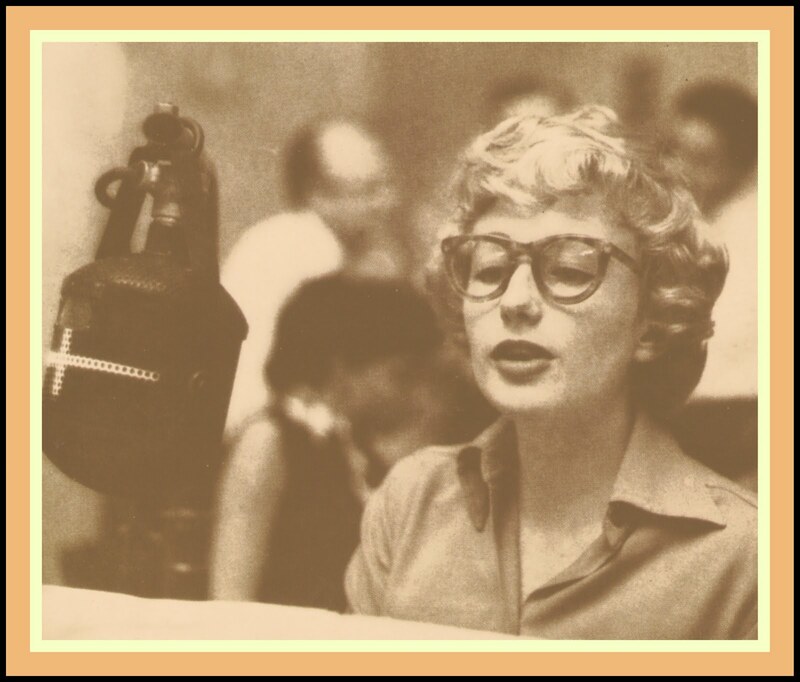 “Everything about Blossom Dearie is just right. Consider her singing. She is the youngest and least well-known of the con­summate triumvirate of supper-club singers — Mabel Mercer and Bobby Short are the others — who rule the upper re­gions of American popular song. She has a tiny voice, smaller than Mildred Bailey's or Astrud Gilberto's or Wee Bonnie Baker's; without a microphone, it would not reach the second floor of a doll house. But it is a perfect voice — light, clear, pure, resilient, and, buttressed by amplification, surprisingly commanding. Her style is equally choice, and was once de­scribed by Rogers Whitaker as going from "the meticulous to the sublime." Her diction shines (she comes from a part of eastern upstate New York noted for its accent-free speech), and she has a cool, delicate, seamless way of phrasing that is occasionally embellished by a tissue paper vibrato. She is an elegant, polite, and often funny improviser, who lights the songs she sings by carefully altering certain tones and by using a subtle, intense rhythmic attack. Consider her songwriting. Few first-rate singers write music, and few first-rate songwriters sing. But in recent years she has produced over thirty tunes, and they are affecting extensions of her singing. Some, like "Hey, John," written after she appeared on a British television show with John Lennon, are cheerful and funny ("Hey, John, look at me digging you digging me"); some, like "Home," are ruminative and gentle and pastoral; some, like "I'm Shadowing You," with lyrics by Johnny Mercer, are works of magic: even though one may never have heard the tune before, one immedi­ately experiences a kind of delighted melodic deja vu. Consider her appearance and manner. She stands pole-straight, and is short and country-girl solid. Her broad face, with its small, well-spaced eyes, wide mouth, and generous, direct nose, has a figurehead strength. Her hands and feet are small and delicate. Angelic honey blond hair falls well below her shoulders. When she is listening, she gives continuous, receptive, almost audible nods. There is no waste in her laughter, which is frequent and quick — a single, merry, high, descending triplet. And she has a precise, almost prim manner of speaking; her sentences arrive boxed and beribboned. Consider her name. It sounds like a stage name or one of Dickens' hyperbolic marvels, but it is real. It is appropriately musical; her given name is soft and on the beat, and her surname is legato and floating. 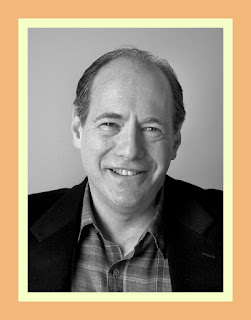 (Any other name — such as Tony Grey, which an overwrought agent once sug­gested — would be ludicrous.) It is also very old-fashioned; it calls to mind pinafores and lemon verbena and chamomile tea. And consider her magnetism. An old friend has said of her, "She is absolutely pure, and she will not compromise. She has this innocence that would take her across a battlefield un­scathed. In a way, she resembles a Christian Scientist. If things go askew or don't fit in with her plans, they don't exist. She started getting under everybody's skin when she came back from Paris in the mid-fifties. I can't remember where she was working, but the place had Contact paper on the tables and out-of-work actors as waiters. It was funny when you'd take a new person to hear her. Her singing is so deceptively simple that at first there would be this 'Wha?' reaction, and then after a while a smile would spread across the person's face, and that would be it. You can be away from her for a long time and live your own life, and then she reappears and gets to you again. She's like a drug. She certainly has the English hooked. When she sings at Ronnie Scott's club, in London, they arrange all the chairs so that they face her, and there's not a sound. It's like church." 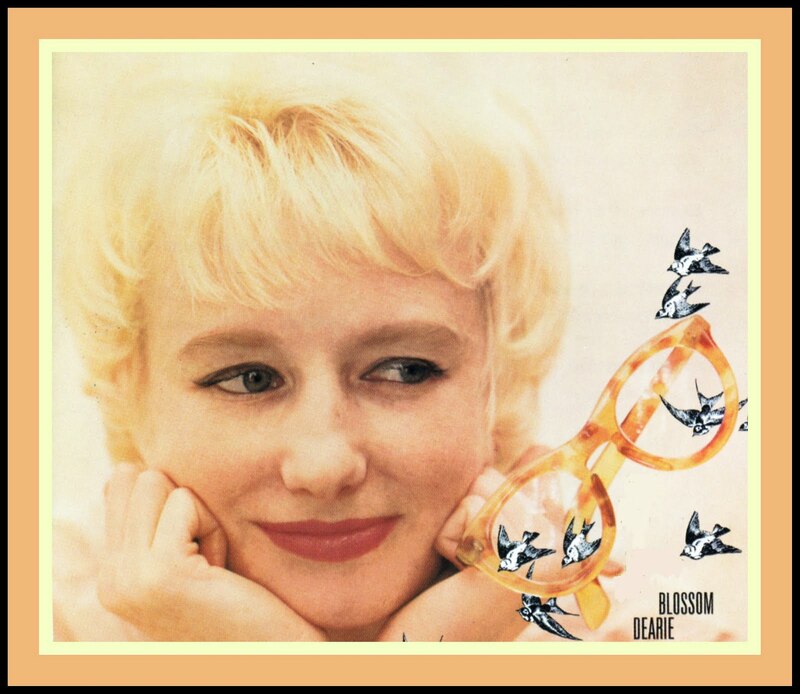 Blossom Dearie divides her year between a small Greenwich Village apartment; the family house, in East Durham, New York, where she was born; and London, whence she ventures into Scandinavia, Holland, Germany, and France. Part of her restiveness is due to economics, and part is due to an inborn need to keep on the move, to live light. Supper clubs have be­come almost vestigial in New York, and she is a demanding, even imperious performer who will not tolerate rude audiences. As you will find out by sampling her recordings, with Blossom, it’s never too fast, too slow, or in the wrong key; it’s always just Blossom which makes it just right.